Crack the code to the VIP area! 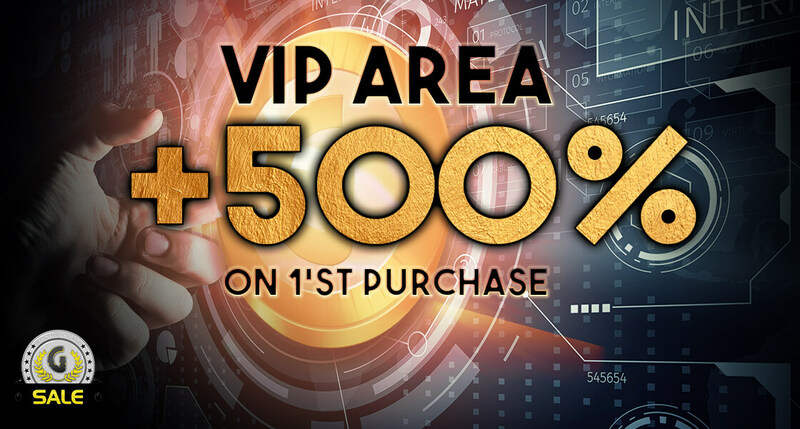 This is the perfect chance to hack your way into the exclusive VIP section and take advantage of all the benefits! All you have to do is make your first purchase in the shop and BOOOM, you’re in! Oh, and a bug in the system means you’ll also get 500% on that purchase! This offer is only valid between February 12th and 13th!